One of the most prominent religious institutions in the Muslim world is on the defensive after documents published by WikiLeaks last week appeared to show its leader coordinating with Saudi Arabia on political matters. 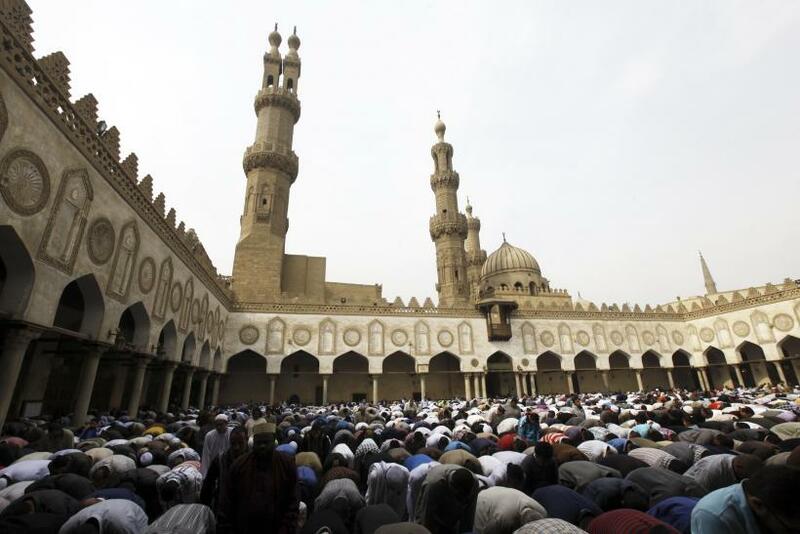 Egypt’s Al-Azhar, considered to be the chief center of global Islamic learning, denied receiving “guidance” from “any entity or state” in response to leaked communications indicating that Grand Sheikh Ahmed al-Tayyeb consulted the Saudi ambassador to Cairo over an Iranian-proposed Sunni-Shiite conference. The statement came a day after WikiLeaks published a 2011 Saudi foreign ministry document addressed to the kingdom’s late ruler King Abdullah, claiming that al-Tayyeb had requested Riyadh’s opinion on a meeting requested by Iran to discuss a rapprochement between Sunnis and Shiites. The letter was signed by former Saudi foreign minister Saud al-Faisal. The leak, which was one of more than 60,000 released Friday, suggests that the Sunni religious institution consulted with the kingdom’s rulers in order to coordinate a common Sunni position before meeting with representatives of the majority Shiite state -- Saudi Arabia’s primary regional rival. Riyadh has responded to WikiLeaks’ publication of the communications by urging its citizens not to distribute “documents that might be faked” while not directly denying their authenticity, Reuters reported. WikiLeaks has claimed that the documents are secret Saudi diplomatic communications and that the batch released Friday was among the more than half a million Saudi documents it had obtained and planned to publish. Included within the published documents have been embassy communications, as well as discussions of the kingdom’s position on regional issues and efforts to influence media coverage. The kingdom’s efforts to bolster Sunni unity in order to counter Iran’s regional influence have been increasingly evident in the aftermath of the 2011 Arab uprisings that swept longtime rulers and Saudi allies like Egypt’s Hosni Mubarak from power.